Yesterday was bookended by two beautiful Saint David's Christmas traditions: the First Grade Christmas Pageant in the morning; the Recorder Consort and Advent Service of Lessons and Carols in the evening. Each was exceptional, reinforcing our sense of community and the true meaning of the holiday season. 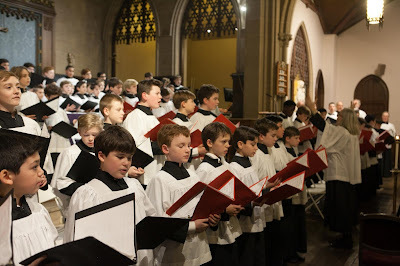 The Pageant was performed for the first time in our new theatre; Lessons and Carols, as always, at St. Thomas More. Much appreciation to the First Grade teachers and to music faculty Jeffrey Moore, Susan Iadone, and Phyllis Clark for all the hard work they do with our boys to bring us these cherished events. We are truly blessed. Our second graders took center stage at the Guggenheim last week when they presented "Look, Imagine, Create: Collages, Paintings, Drawings, and Constructions." 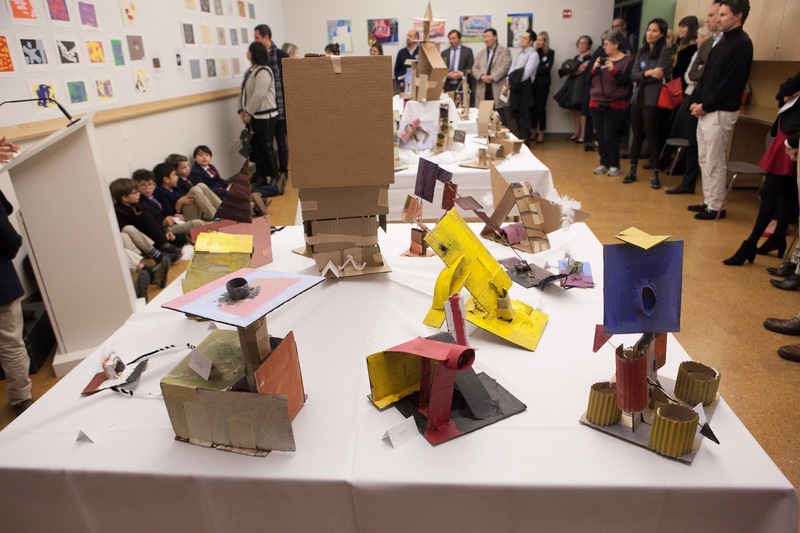 The event was the culmination of the boys' fall semester art unit, which takes place at the Guggenheim over several weeks, through Saint David's partnership with the museum. 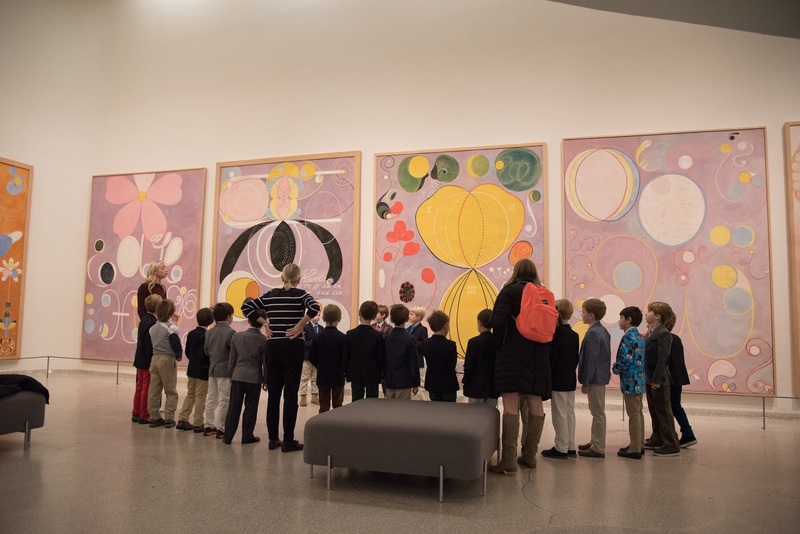 In the first part of the event's program, the boys led gallery tours for visiting parents, first graders, and faculty and staff, presenting what they had learned about particular works, such as Picasso's Mandolin and Guitar and Hilma af Klint's The Ten Largest. Then it was down to the Guggenheim art studios for a display of the boys' original art creations, which had been inspired by their learning throughout this unit, under the expert guidance of their art teachers Melanie Fidler, Emily Melander, and Jenna Boccella, and Guggenheim Museum Educator Hollie Ecker. 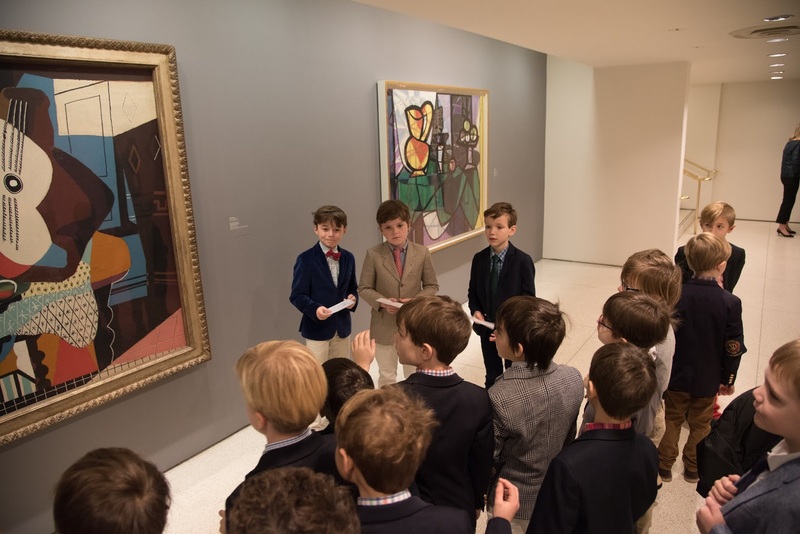 Saint David's art program in second grade revolves around the boys' firsthand interaction with works of art at museums. Boys develop a sound vocabulary about art and are able to articulate their learning abut line, color, abstraction, texture, attachment techniques, and materials, all while having the opportunity to study masterpieces up close. This partnership exemplifies the school's commitment to its aesthetics pillar, and enables our boys to benefit from all that the Guggenheim offers, just a few doors down from our school. 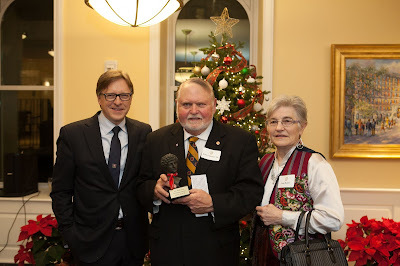 At last night's Christmas Gathering we honored Robert Renner '58 as Alumnus of the Year. Bob, a member of the very first graduating class at Saint David's, has been an active alumnus for decades, a leader of his class, always to be counted on to corral and organize his fellow '58ers for a school event or project. 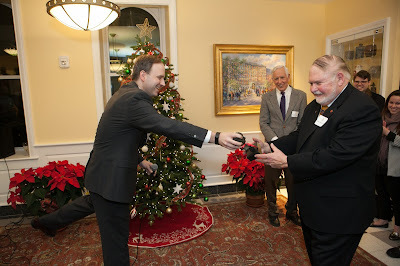 Bob expressed his strong connection to his former classmates (including Ben White '58, who was in attendance) and his appreciation for the education he received at Saint David's. 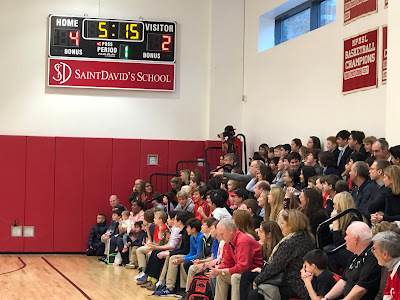 You may recall that Bob and his classmates posed for the cover of the last issue of Saint David's Magazine, as we neared the completion of our consolidation/expansion project. Back in 1953, Bob and a fellow classmate were the driving forces behind the sledgehammer that broke through the wall separating Buildings 12 and 14, marking the school's first expansion and move east on 89th Street. 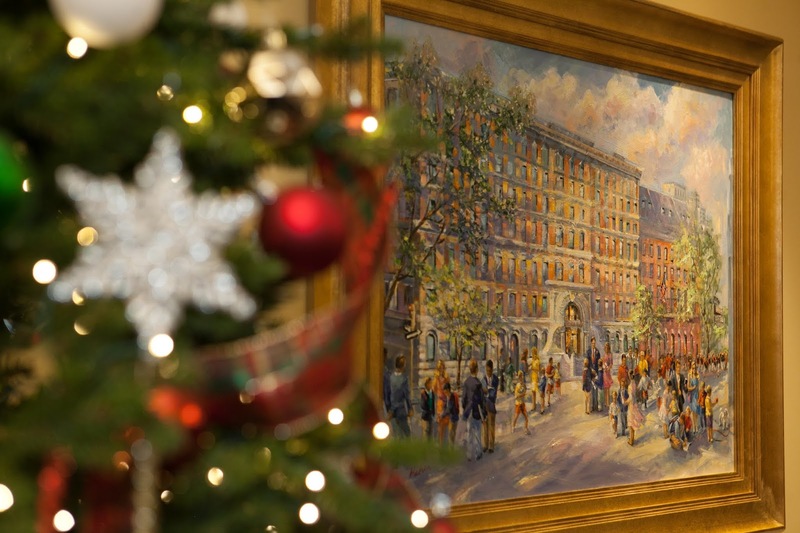 How apt that he be honored at the first Christmas Gathering in our newly expanded school, which now stretches all the way to Madison Avenue. It was a pleasure to recognize Bob, an alumnus with a unique journey in the life of Saint David's School. 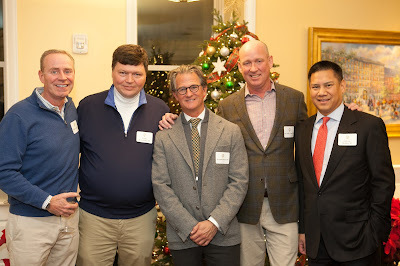 And, as always, it was gratifying to spend time during the Christmas Season with cherished members of our alumni and alumni parent community. Finn O. 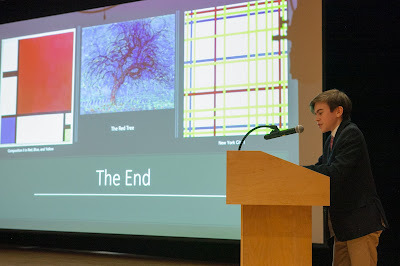 '19 was the winner of this year's NBS Lectures on Art, for his commanding presentation and analysis of Mondrian's Broadway Boogie Woogie. Congratulations to Finn and to finalists Will C., Taylor K. and Teddy R. for their exceptional lectures, delivered for the first time in our new Otto-Bernstein Performing Arts Theatre. 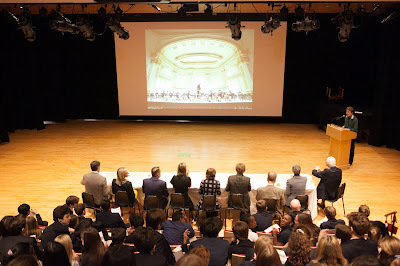 The boys presented before an audience of fellow classmates, their peers from Nightingale-Bamford School, and a panel of judges including faculty members, administrators, trustees and art experts. The presentations were judged on the quality and depth of research and analysis, oral presentation skills, and visual design of the presenters' slides. 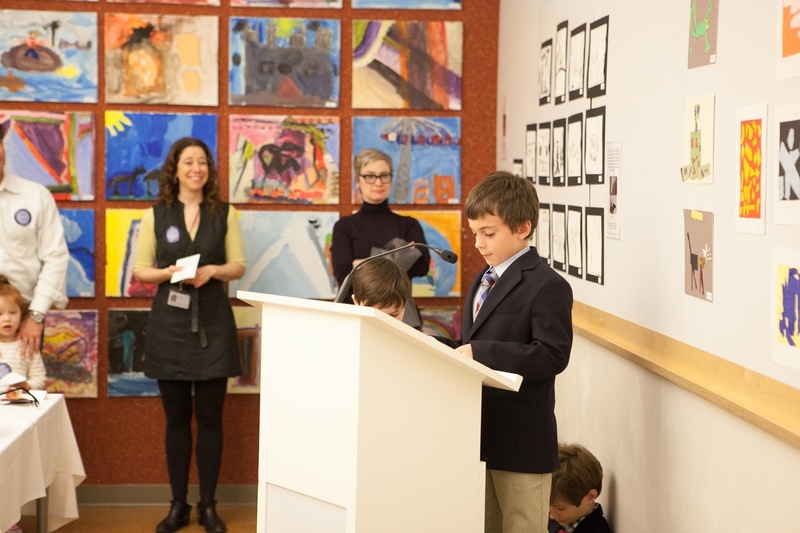 Finalists were named after last week's preliminaries in which all eighth graders participated. 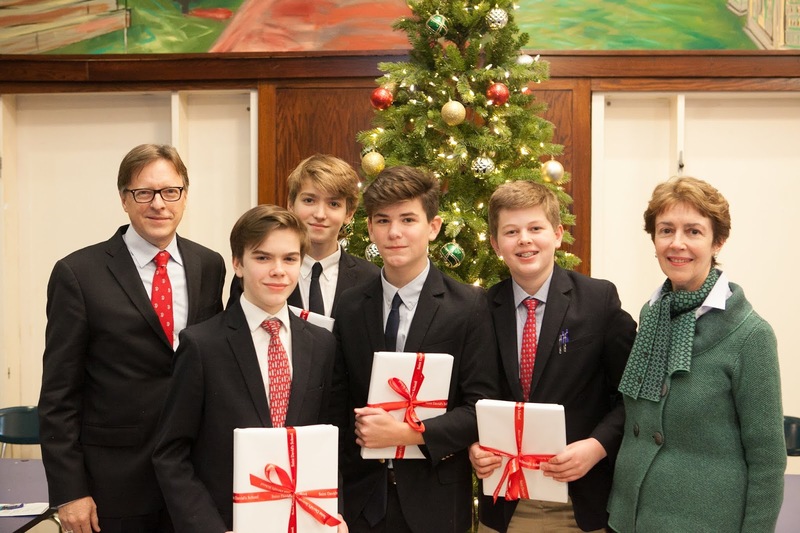 The NBS Lectures competition is the first of four summary projects that our eighth graders complete as part of their interdisciplinary humanities course. 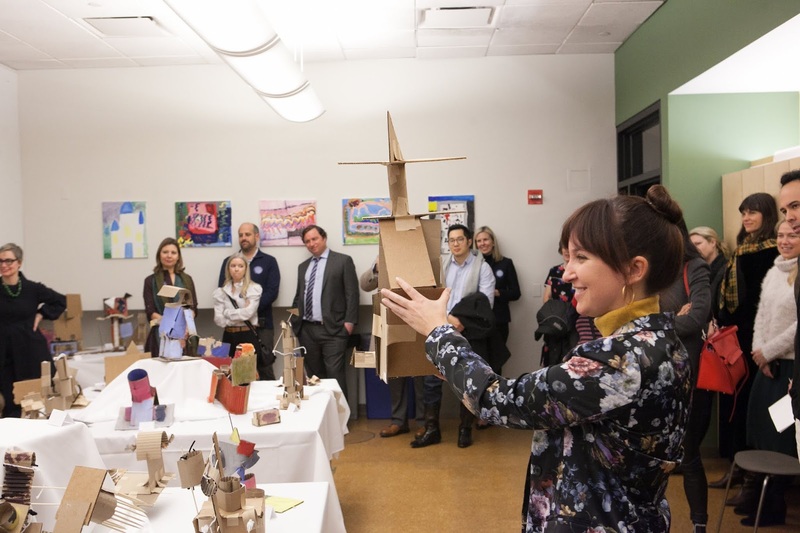 The course, taught by teacher and art historian Nancy Iannicelli, is a signature one at Saint David's, which culminates in a 10-day Italian Study Tour in March. The bleachers were packed with fans of all ages for Red's season opener in our new Price Family Gymnasium. What a game! 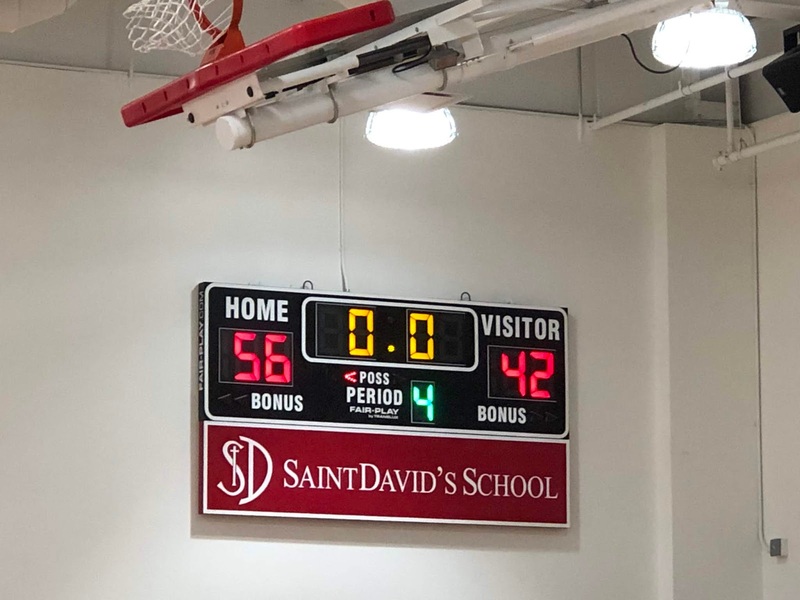 Both teams provided an exciting experience for spectators; it was neck and neck until the third period when Saint David's took a commanding lead and held it, winning the game 56-42. The crowd roared! Congratulations to this great team of players and to Coaches Morales and Williams. 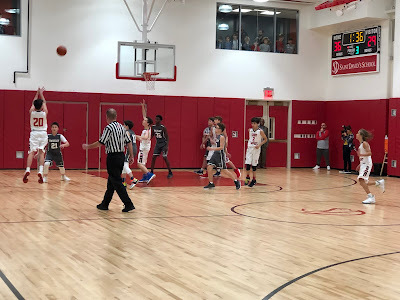 To win a season opener is always exciting; even more so to win it in our beautiful new gymnasium right on 89th Street that is providing an exceptional space for our boys to play sports, and for our community to gather. Last week, sixth graders began what will prove to be an out of this world experience--the Digital Universe Flight Study unit, conducted through our unique partnership with the American Museum of Natural History. 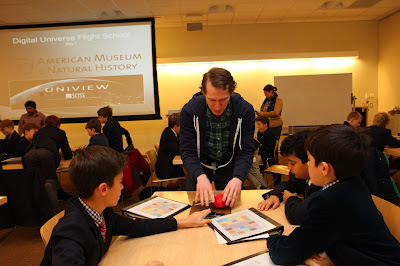 At the museum, the boys have access to research-grade tools including UniView, which interfaces with the Digital Universe Atlas, as well as the deep discipline expertise of the museum educators and astrophysicists. 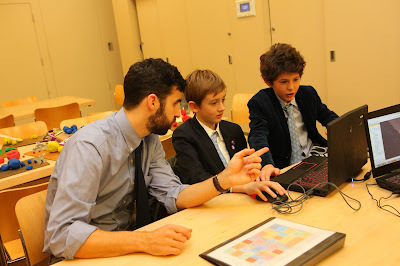 The interdisciplinary unit entails several field study sessions at the museum as well as English and Science classes back on our school's campus. Our boys will work in pairs to research, storyboard, and create a show in which they "fly" through space as they answer an astronomy research question of their choice. They will present and narrate their shows live in the dome of the Hayden Planetarium in March. Through this unit, our boys benefit from the expertise of astronomers as well as their exceptional Saint David's teachers, gathering a deeper understanding of the Universe while honing their narration and presentation skills. 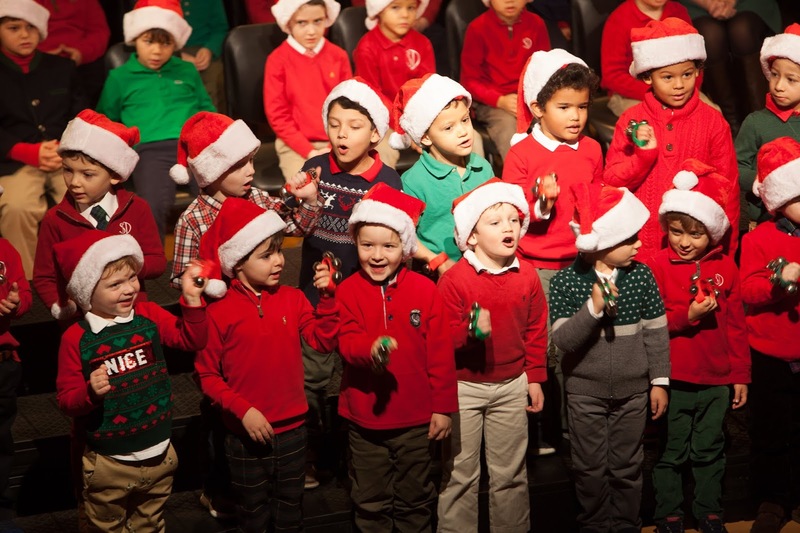 What better way to welcome the holidays than with a concert featuring our youngest boys singing the Christmas Season's classics for their Grandparents and Special Friends! 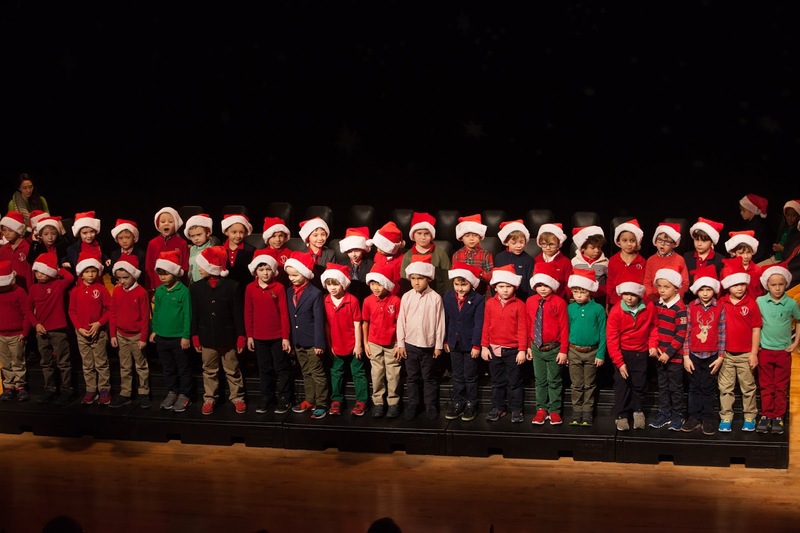 This past Friday morning, our Pre-K, Kindergarten, and Omega boys performed for the first time in the school's new Otto-Bernstein Performing Arts Theatre. 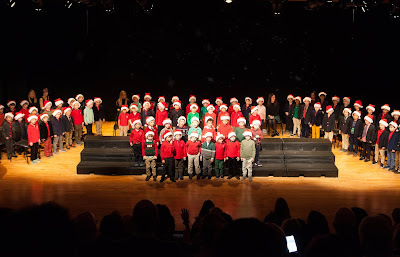 The program featured all-time-favorites like Jingle Bells, I Saw Three Ships, and Frosty the Snowman, and the Spanish Christmas Carol Mi Burrito Sabanero, as well as several audience sing-a-longs. Their hard practice with Music Chair Jeffrey Moore these past few weeks paid off in their confident, enthusiastic performance; and they sounded terrific in the new theatre. 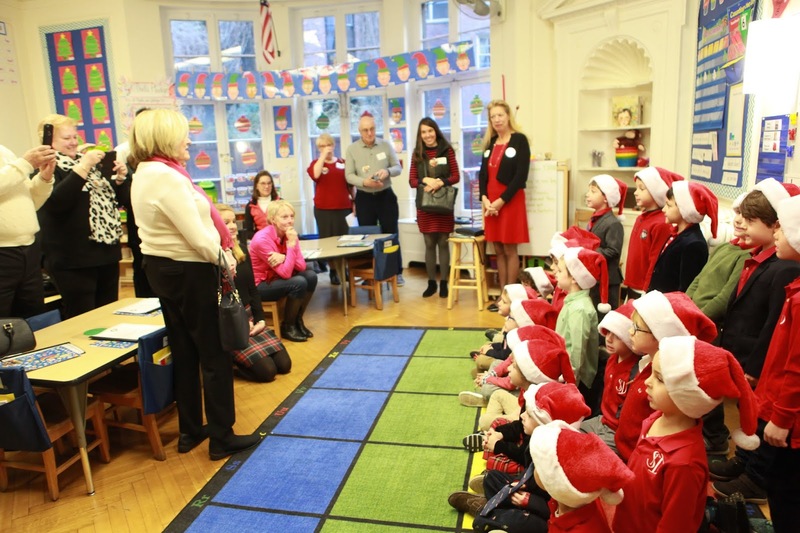 After the performance, grandparents visited our new Lower School Library and the boys' classrooms to participate in special activities. Grandparents are treasured members of our community who play an important role in the boys' lives; and our boys clearly delight in the warmth of their company. 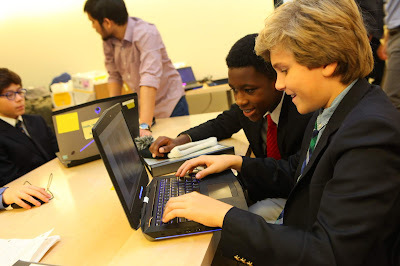 Seventh graders are immersed in an "island survival" adventure related to their study of William Golding's 1954 classic Lord of the Flies. The novel tells the story of a group of school-age boys marooned on an uninhabited island, where they struggle to survive without a government or rules. 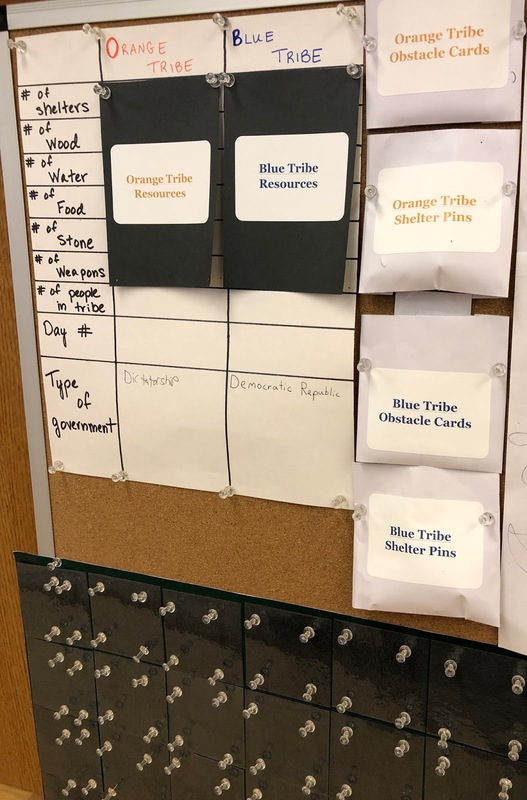 In this creative, unique activity that spans 10 class sessions, our boys are assigned to belong to one of two "tribes." Using knowledge gained from history classes in the fall, they first determine what type of government system to adopt. During the simulations, they strategize methods to overcome obstacles and acquire resources such as wood, food, shelter, and water. The simulation requires the boys to negotiate, debate, and reflect critically on their decisions as they face challenges to their survival. In journals, they regularly write about their thinking, their decisions and consequences. Writing skills are further developed and honed. In addition to analyzing the themes, conflicts, and characters in the novel, they analyze their own actions, bringing a component of personal reflection and introspection to the activity. 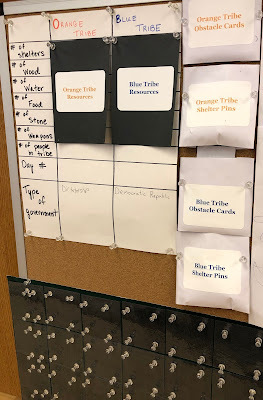 In a recent class, the boys' writing assignment was to identify which character in the novel they felt they were most like and why, based upon their own behavior in their tribe. This new learning experience is an example of the in-depth, active learning that crosses disciplines at Saint David's, allowing our boys to dig deep and grapple with important life issues. 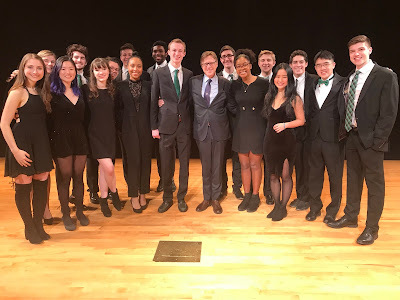 This morning we were treated to to a special assembly featuring members of The Dartmouth Sings, Dartmouth College's premier pop and alternative a cappella group. Thomas Harvey '13, a sophomore at Dartmouth, is a member, and he was thrilled to invite the group to sing for his alma mater. Always active in music and theater, Tom raved about the school's expanded space, in particular the Otto-Bernstein Performing Arts Theatre. It was so good to have Tom back at Saint David's and The Dartmouth Sings were terrific! A great start to the day! Our Pre-K boys and their teachers are putting our new STEAM suite to good use. The boys recently completed an integrated art and science project to design and build a city from a variety of materials. 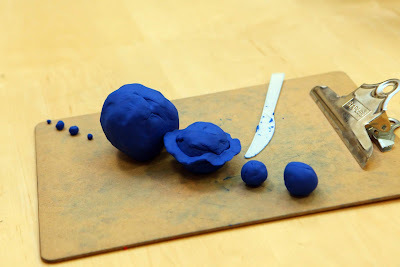 The boys selected features that "Fun City" would include, such as ramps, bridges, parks, trees, and vehicles, and got to work planning, designing, and creating all of the features and painting/decorating them. On the floor or at the art table, the boys were 100 percent engaged in the tasks at hand, loving every minute and expressing delight when a feature worked as planned ("Did you see that car go across the bridge?") and going back to the design phase when something didn't quite work as well. Our STEAM Suite is enabling exciting new opportunities for integration across the art, science, and math disciplines in all grades. No limits! Since our 60th Anniversary year in 2011, Saint David's Eighth Grade boys have led several school-wide fundraising projects to build the Saint David's Kalina School in Ethiopia. 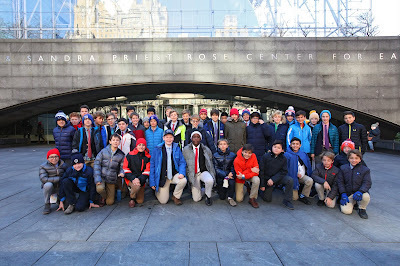 Each year, the boys worked hard organizing, running, and participating in several activities--walk-a-thons, ice cream sales, pay to play soccer games, and quiz shows. 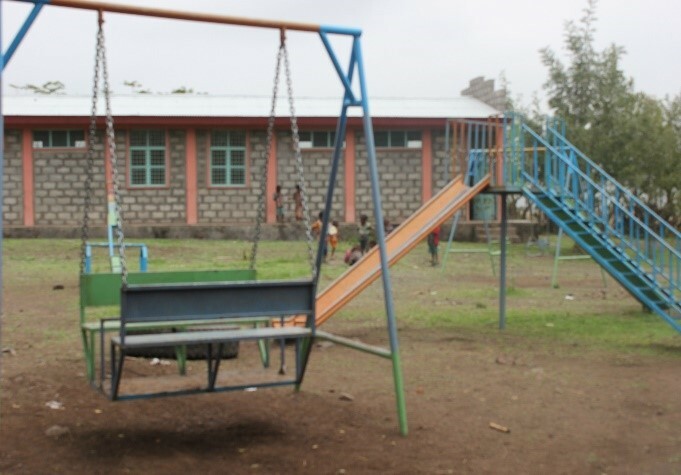 Last year, the Class of 2018 closed out work on Saint David's Kalina School--it is now a completely operational pre-primary through Grade Eight school, and funds we raised are now supporting work on a new school under construction in Ala'sa, through our partnership with Save the Children. The Class of 2019 will focus their fundraising efforts on the new Saint David's addition to the Ala'sa School. 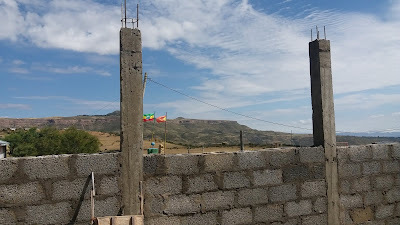 Our project involves construction of a two-room block addition to the current school there, which, when completed, will serve 188 boys and girls in Grades Five and Six. Without the addition, the children would need to travel five miles by foot to get to the next nearest school. 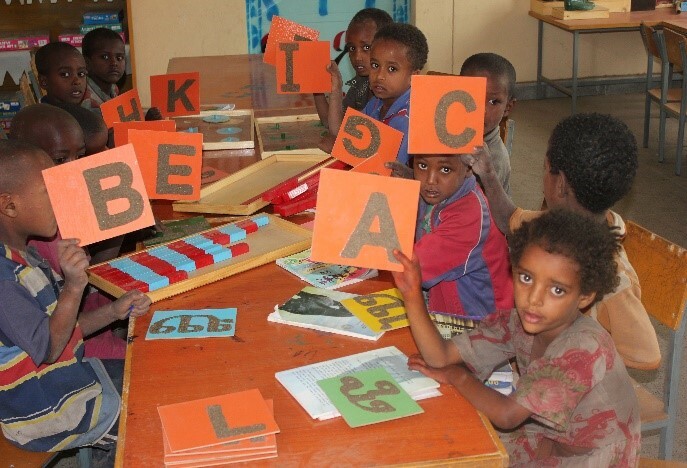 We are excited to continue our commitment to primary school education in Ethiopia. As a school that has just significantly expanded our facilities to meet the needs of our boys, we are committed to helping others meet their educational needs. It is intrinsic to our mission and values; to be "good" by doing "good." 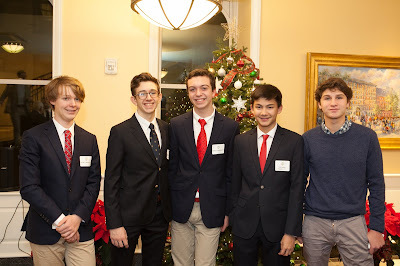 Yesterday and last week, in my continuing quest to visit every Saint David's alum in his high school before he graduates, I had the great pleasure of visiting Daniel '17 at Andover; Liam '15, Finn '16, and Sean '16 at Brooks in Massachusetts; Ryan '15, Rohan '16, Ben '16, and Spencer '17 at Horace Mann; and Marco '15, Brij '16, Tristan '16, Nicholas '16, Clark '18, and Nicholas '18 at Loyola, here in the city. 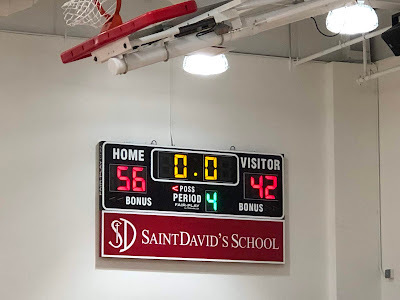 The boys were thriving in their schools and I returned with an incredible cache of intelligence regarding improvements we can make to our program, along with things they'd never want to see change. On the Massachusetts trip, I was delighted to have Mr. Imbelli along. Somehow, he talked the airline rep into giving us extra legroom--free! The boys were thrilled to see him too.